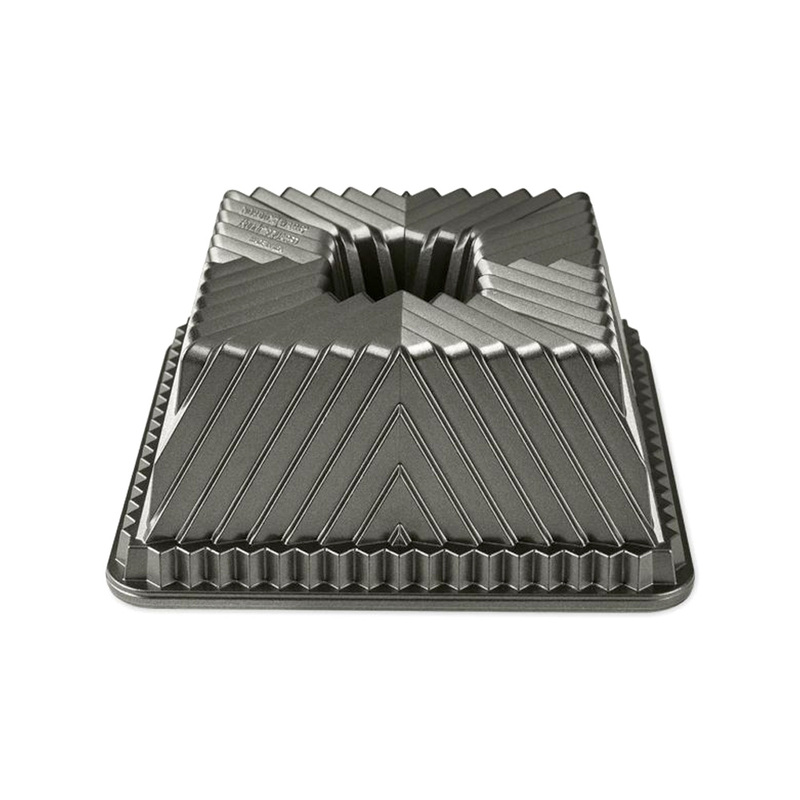 This beautiful squared bundt pan's elegant grooves created by the ridges is the perfect place for sweet glaze to settle. 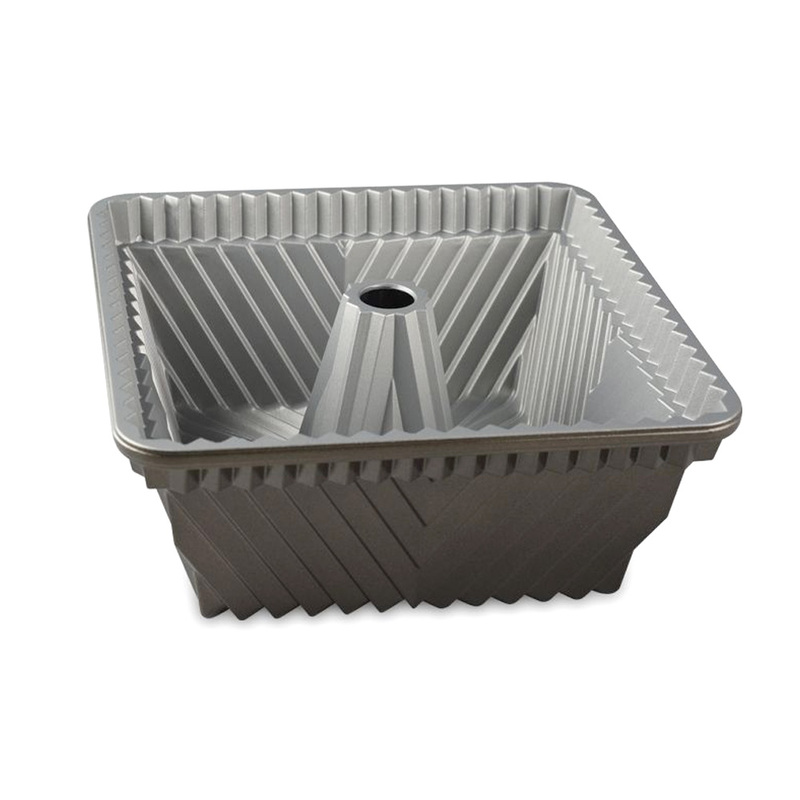 Heavy cast aluminum pan is 8-1/2" square on the bottom rising to 6" square at the top, with a 10 cup liquid capacity. 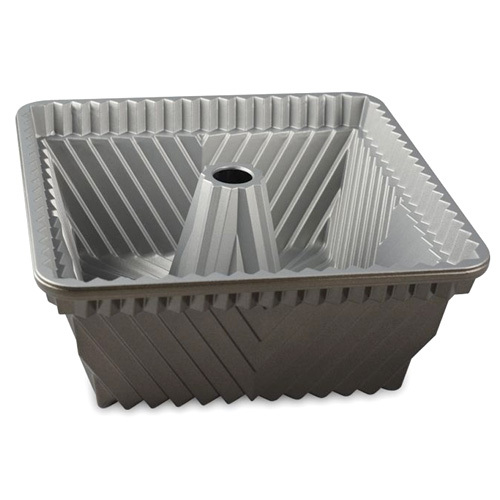 Premium nonstick pan cooks uniformly and creates fine details. Includes delicious Lemon Bundt Squared Cake recipe. Fill the pan no more than 3/4 full to avoid overflow. 8 1/2" x 8 1/2" x 3 1/2" high.